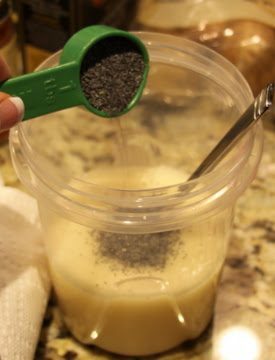 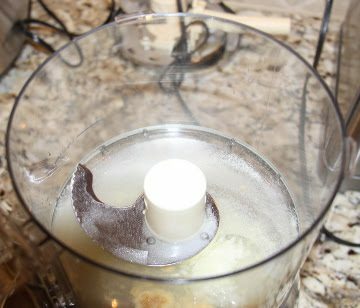 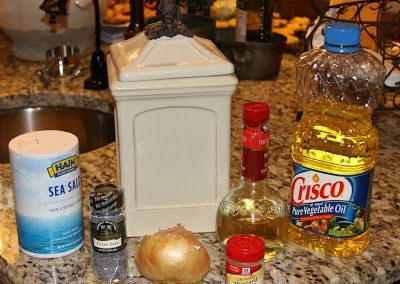 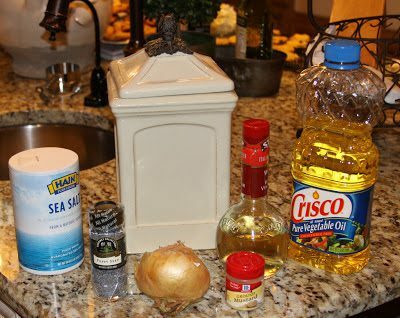 In a blender or food processor, combine sugar, vinegar, salt, mustard and onion and process for 20 seconds. 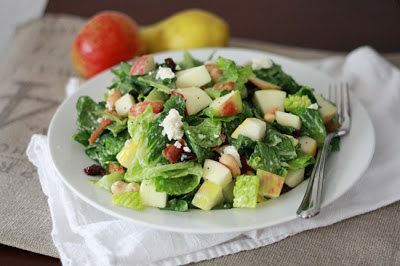 In your largest mixing bowl, toss together lettuce, apple, pear, bacon, cranberries, walnuts and cheese. 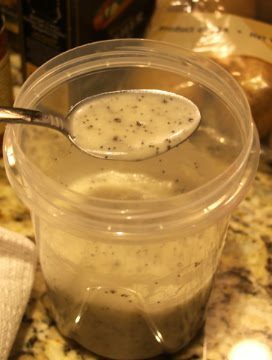 Add 3-4 Tbsp dressing and toss to coat, adding more dressing as necessary/desired.